The Rave Green played 5 starters and lost narrowly in Phily (a bottom tier team). We had chances. We had to fly cross country on a short week. We left, Dempsey, Martins, Alonzo, Gonzales, Barrett, Evans to sit at home. 3 players get first MLS starts: Aaron Kovar, Oniel Fisher, Jimmy Ockford (Fisher and Kovar started vs. Timbers in USOC in Red Card Wedding Match). Only 2 starters played in their normal position: Dylan Remmick started at Left Back, and Stefan Frei in goal. Gonzalo Pineda, started at defensive midfielder paired next to Micheal Azira. Marco Papa started as the center attacking midfielder right behind Lamar Neagle who started as the lone striker up top. While both are starters, neither is in their normal position of left and right midfielder, respectively. Kovar started at left mid, Christian Roldan at right mid. Andy Rose, and Tyrone Mears were able to get some needed rest. Chad Marshall played 10 minutes. Azira looked good. The defense Gave up too many crosses. Neagle is having a hard year. He has 3 goals 1 assist. He has only scored with Dempsey or Martins on the pitch. He has not scored as the lone striker. Today, the Sounders signed Andy Craven from S2. He was on a S2 contract. He was the Sounders third round pick from this the superdraft. He failed to make the team out of preseason and was offered to start with S2. He has 5 goals and 5 assists in 14 S2 matches. He works well with Victor Mansaray. And both or either may be active for tomorrow’s match. 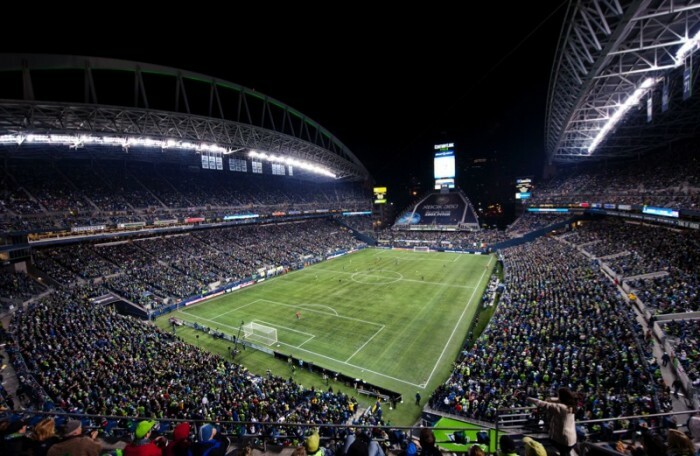 Rumor has it that former Sounder FC Erik Friberg is returning to the Pacific Northwest to lace up for the Rave Green. He would add tremendously to the depth of the midfield and keep Sigi from being tempted to return Evans to the midfield. Friberg should be able to step right in and play all midfield positions, and pair with Alonso in the center pivot. He would probably take Gonzalo Pineda’s starting job once his fitness is up to snuff. Announcement should be made next week. They will foul tactically to break up the Sounders rhythm. They will try to counter and cross. They will get dirty and try to get Seattle to commits fouls. They will try to instigate (looking at you Will Johnson). They will turn Darlington Nagbe loose. Count on it! Designated Player and key defender CB Ridgewell got red card in Timbers 5-0 disaster Wednesday night to the LA Galaxy. All of the usual suspects; Dempsey, Martins, Pineda, Gonzales. Barrett, Alonzo, and Evans probably will play. Tyrone Mears has been very good in the back line for us. Contrary to what the MLS Analyst Matt Doyle thinks (he said recently that Mears was the weakness in Seattle’s defense. I couldn’t disagree more. If I had to pick one man to save us one-on-one on the opponents best offensive player, it would be Mears. He shut down Fabian Castillo. He is the man. Hot Stove League–Soccer Style–What is a Transfer Anyway?